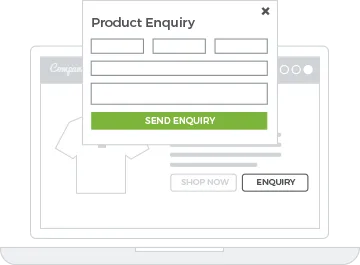 multiple contact channels and features designed for growth. 93% of B2B customers prefer shopping online. Choose B2B ecommerce solutions designed for customized customer experience with a rich features set. Create a comprehensive vertical or horizontal B2B multi-seller marketplace for products or services. 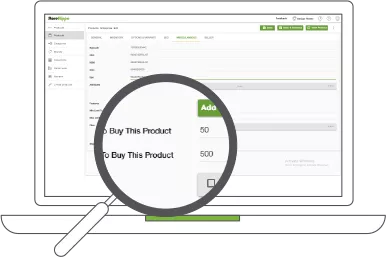 Onboard multiple vendors and manage their products, orders, payouts and commissions with easy tools. 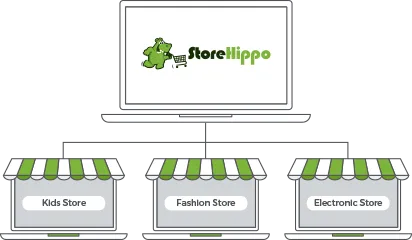 Setup multiple storefronts with multi-store feature to offer different look and feel as well as product and deals, payment options, shipping etc. to different users. 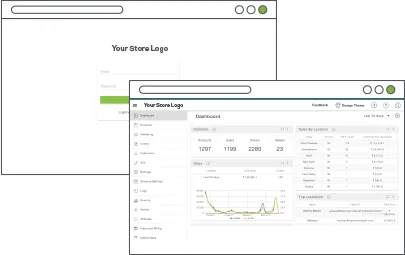 Get unique URLs for each store to rank higher and faster on SERPs. 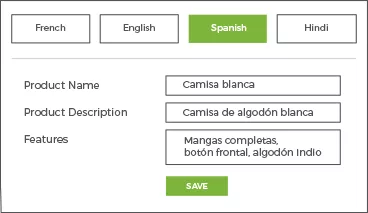 Convert your website into multiple languages to connect better with your domestic and international customers. Use the power of language specific content for better marketing and higher conversions. 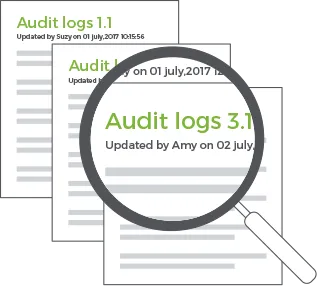 Create an audit-trail with audit log feature to enhance the security of your B2B eCommerce website. Control and revert the damage if any to the point of breach by referring the audit trail. Give your brand prominence by opting for white-labelling and using your brand name and logo in the frontend as well as the backend of your B2B website. MAke all your communications and notification tools branded with your logo. Offer individual prices based on customer login to take advantage of customized pricing for different audience groups and geographical locations. Facilitate payment in global currencies with pricing overrides. 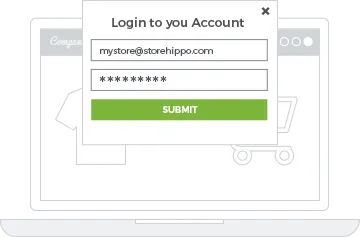 Collect additional information and ensure security of your website by making login a compulsory feature for your B2B website. Boost your marketing list by using the email ids to promote your business to your customers. Allow your customers to make better business and purchase decisions by offering them price comparison feature. Let them compare the prices of various merchants who have listed for providing the same products or services. 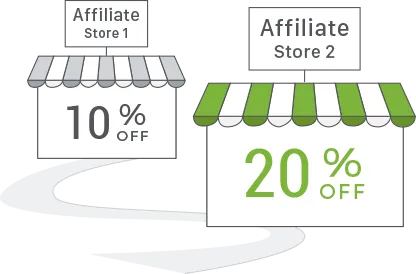 Set up wholesale as well as retail prices for the two different customer segments. 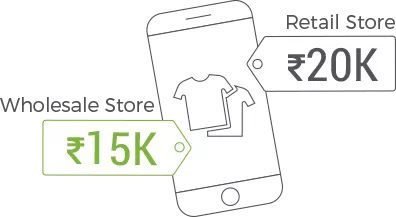 Capture new markets by offering best prices without losing on either the wholesale or retail users. Save time and make your business processes more efficient with bulk order processing. 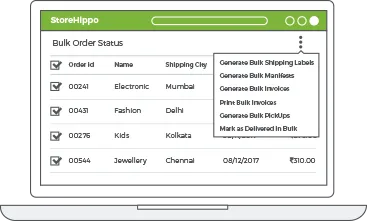 No need to go for repeated manual processing, use one click bulk order processing to handle hundreds of orders in one go. Having the facility to create dynamic forms as and when needed helps in capturing relevant data. 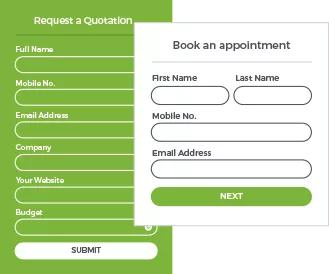 A form builder functionality helps in create and customising existing forms like seller registration etc. 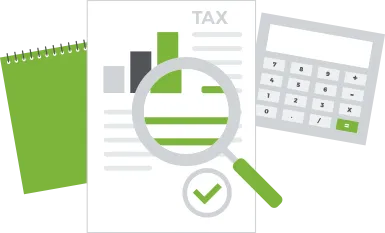 Get a comprehensive tax engine that gives you complete control over various taxes based on buyer and seller locations. Apply hierarchical and multi-tier taxes and get full support for all the components of GST. 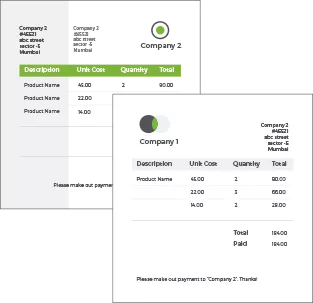 Increase your profit margins by setting up a minimum order quantity for bulk purchases. Reap in the benefits of economies of scale by supplying orders above a cutoff threshold. 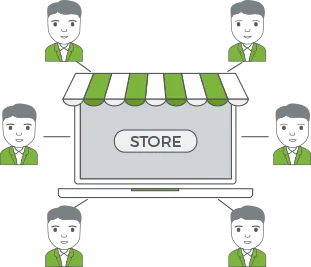 B2B eCommerce solutions is about having a variety of complex user roles with each having access to specific parts of the database. 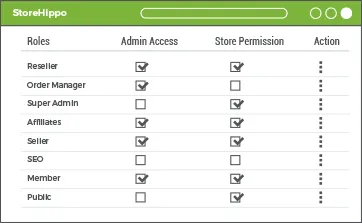 The feature to assign granular user roles makes it easier to manage the B2B setup. 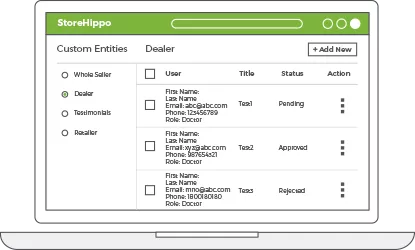 Offer custom invoice templates to your customer based on their specific requirements and location. Make it easier to handle tax and discounts with adding minute details to different invoices. Every B2B business is unique and has its own requirements which cannot be generalised. Make use of custom entities to tweak the platform and add your specific entities to the backend or frontend of your B2B website. Improve your customer experience and provide higher interoperability between various systems by offering SOS( Single Sign On). 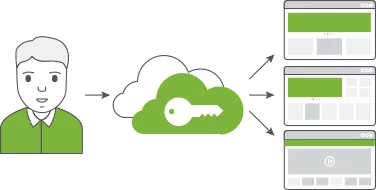 Make the login process fast and simple while allowing the users to access various services securely without providing their credential for each instance. 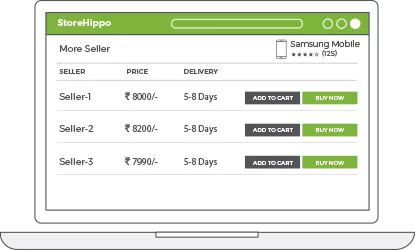 Get one click integrated shipping with a choice of multiple shipping partners to cover 20,000+ PIN codes. Get discounted shipping rates with ZERO setup cost for all the shipping partners you choose. Increase efficiencies with automated and fast shipping process management.